The last time Claude was in town he couldn't stop talking about HBO's The Newsroom, the latest creation of award winning screen writer Aaron Sorkin. 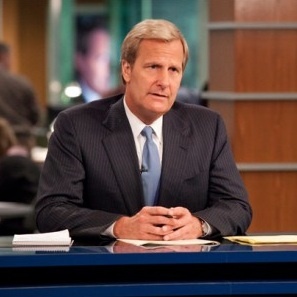 "You have to watch this," he said, playing what I later discovered to be the opening scene of the pilot when news anchor Will McAvoy, played by Jeff Daniels, responds to the question of what makes America the greatest country in the world. The tension was palpable as the character sits there calculating what to say, whether to speak his mind, or gloss over the truth with another in a growing list of one-line comebacks. 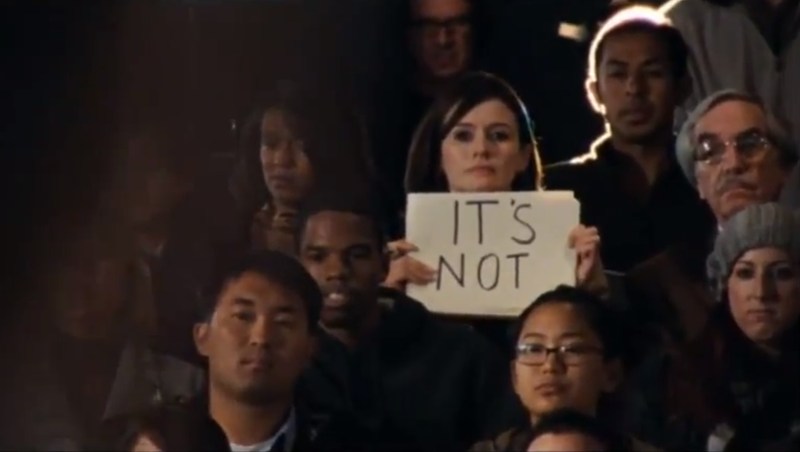 Prompted by a lady in the back row of the studio audience holding up a sign saying "It's not", he dives into arguably the most incredible monologue in the history of television. Take five minutes and watch this scene and tell me you're not hooked. Be prepared, the scene and the language are rather intense. What is the most powerful device used in this sequence? Silence. The dead space is riveting. 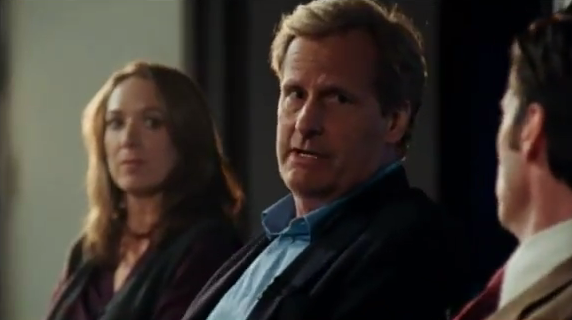 This scene, and the rest of episode one of The Newsroom is so real, so authentic, so brilliantly written and acted that it feels like you're peering through the fourth wall and paying witness to something deeply personal. Jeff Daniels' performance in this episode and particularly in this rant on the true state of the American dream is legendary. From understated to explosive, he strips away any previous associations you may have had to other roles that he has played. He has crossed the universe since his Dumb and Dumber days. As an actor, the scene and every second that followed blew my mind. It was absolutely inspiring to experience. I had spent much of the afternoon trying to figure out how to patch the show from my laptop to our television. Several cords, several trips to the electronics shop and several hours later, everything was finally ready. 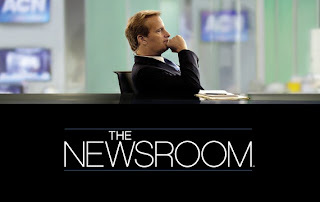 The Newsroom did not disappoint, in fact, it obliterated the walls of my expectations and sucked me into its world so profoundly, so completely, that my whole body was buzzing when the credits started to role at the end of the first episode. "I can't wait for tonight's episode," said Heather from the Kitchen, preparing some holiday goodies. I know exactly how she feels.